List of the latest German TV series in 2019 on tv and the best German TV series of 2018 & the 2010's. Top German TV series to watch on Netflix, Hulu, Amazon Prime & other Streaming services, out on DVD/Blu-ray or on tv right now. 2018, 2017 & the 2010's best rated German TV series out on DVD, Bluray or streaming on VOD (Netflix, Amazon Prime & Hulu). 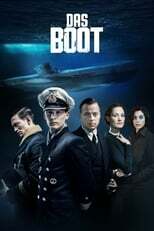 Many Consider Das Boot the best German War movie of all time. It was already released as a TV Mini series in the nineties, but now it's gets it own sequel as a series. 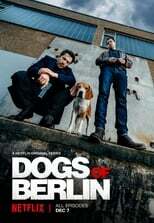 Two very different police officers stand at odds with the underworld of Berlin due to a sensitive murder case they are investigating. Who does not know the famous novel Das Parfum. This German Netflix Production, Perfume, is inspired by it, but is set in a modern day setting. When a singer is found murdered, with her scent glands excised from her body, detectives probe a group of friends who attended boarding school with her. 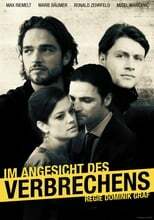 Probably the best thing to come from German television since Generation War. This original Netflix time travel show is about a quiet German town where kids are disappearing. But this has happened before - it is as if the past, 33 years ago, is repeating itself. 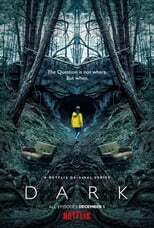 The show is often compared to Stranger things, but then darker. We believe this is a bit of a marketing trick, but fans of Stranger things will surely also enjoy this. 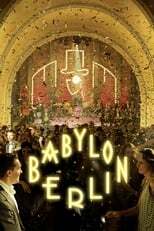 A historical crime drama bout Berlin during the social and political changes of the Golden Twenties, and a new police commissioner that just moved there from Cologne. It's a creation by Tom Tykwer (Sci-fi movie Cloud Atlas) which means that we are rather excited to see yet another film director go television, even in Europe now. The second season is already scheduled, so it seems a rather serious project (and a $40 million budget). 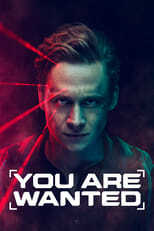 A man's life falls apart when is the target of a cyber attack and all his personal data gets hacked, and he is made to look part of a eco-terrorism organization. One of the first German tv shows created by Amazon Germany. Might be the show of the year for Germany. A German satirical crime series about a female detective and her adventures in a country village. A beautiful documentary series about life in Stalingrad. Marek, a cop of Russian descent, is looking for the murderer of his brother. Jelena came to Berlin to find work but ends up as a prostitute. They both get drawn into a power struggle within the Russian maffia. 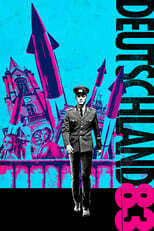 In 1983, a naive, East German soldier is given the task to spy in West Germany. A show about the fictional everyday adventures of real-life comedian Bastian Pastewka. The living and the dead is a mini-series based on the best seller by Nele Neuhaus about a team of investigators. Germany has a very rich cinema culture, which should mean that good German series aren’t hard to find. Good shows have been made indeed, yet somehow the Germans keep their series mostly to themselves. Here’s what’s interesting.